Grey PVC Flex - Please contact us directly on 0161 336 5065 for bespoke products not listed as we specialise in made-to-measure vents and custom designs. Fully flexible, high quality, un-insulated PVC laminated duct for use in commercial HVAC systems. Available in 6 metre lengths. 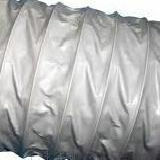 Tough PVC reinforced by a “grey outer skin” for resistance to tear and puncture, airtight with a smooth core for low friction loss and lower operation costs.